Elliott Goldstein has over 35 years of experience working in the pharma industry. 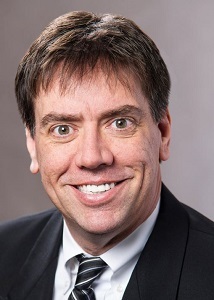 He is currently the president and CEO at ProMIS Neurosciences, a biotech company developing precision therapeutics and companion diagnostics for early detection and treatment neurodegenerative diseases. He has worked on the development of a couple of blockbuster drugs, but believes he is now part of the most exciting project of his career. There is a large and growing unmet medical need in the U.S. for patients with Alzheimer’s disease and their care givers. A March 2018 article on Forbes notes there are now 5.7 million Americans living with Alzheimer’s due to the aging baby boomer population. The cost of caring for them has now hit $277 billion. By the year 2050, there are expected to be 13.8 million cases, with the cost of care expected to soar to a whopping $1.1 trillion. Additionally, 16 million Americans provide 18.4 billion hours of unpaid care in the form of physical and emotional support. The financial impact of that care has been estimated to be an additional $232 billion. ProMIS remains a young firm with Goldstein and executive chairman Eugene Williams taking over the company and changing its name just three years ago. But Goldstein notes the science ProMIS is pursuing has been under development at the University of British Columbia (UBC) for more than 15 years. The company develops antibody therapies that are highly selective for the toxic, misfolded proteins that are now suspected of being root causes of various neurodegenerative diseases. 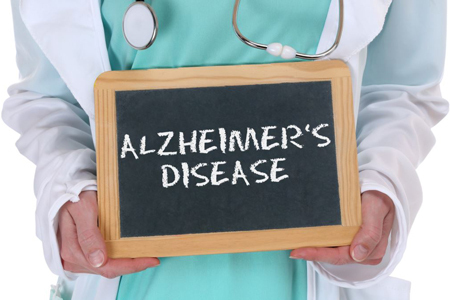 ProMIS has a special focus on Alzheimer’s and ALS, although Goldstein states there are more than six neurodegenerative diseases where a misfolded protein is known to be the root cause. PMN310 is expected to enter Phase 1 human clinical trials in 2019. Eight other products in the company’s pipeline, which address Alzheimer’s, ALS, or Parkinson’s Disease, are currently in discovery or preclinical. Goldstein and Williams had several challenges to overcome when taking over the company. Goldstein states that as a small company, there are things you begin to understand only after hitting your head against the wall many times. The first is clinical focus. Goldstein believes the correct path forward is a relentless focus on the opportunity that makes the most sense, both in terms of your science and market opportunity. The first thing Goldstein and Williams did was to re-focus the company. They decided that 95 percent of their time, energy, resources, and money would be spent on finding an effective treatment for Alzheimer’s disease. They have since placed a relentless focus on that outcome. Since 2015 the company has raised over $20 million to fund its research. The market cap of the company was essentially zero in 2015 and is now close to $100 million. ProMIS also carries no structured debt, which Goldstein believes is toxic and harmful to small companies. The company is decentralized with around 15 scientists stationed at UBC. The main U.S. site is in Cambridge, MA, which is home to about a dozen employees in the development group. Goldstein notes he also works with consulting specialists in the world. Going forward, another challenge for Goldstein and his team will be managing risk. Clinical trials are risky, and many believe a lot of that risk is not eliminated until you get a product through to Phase 2 or Phase 3. But Goldstein questions at what phase of the development process companies try to eliminate a lot of the risk. To cut back on the risk level, ProMIS has made sure its antibody program for Alzheimer’s is as selective and specific as possible for going after the toxic killers of neurons. This will eliminate potential leaks before the boat ever sets sail. In June 2018 ProMIS announced it had initiated producer cell line development for PMN310. Selexis will manufacture the antibody.